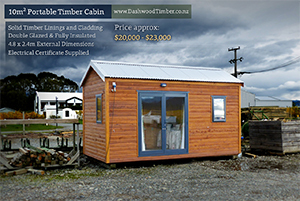 Sleepouts, Portable Cabins and Sheds in Marlborough | Dashwood Treated Timber & Posts Ltd. 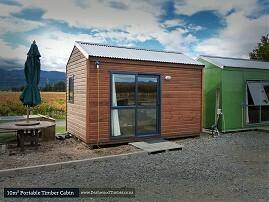 If you're looking for an extra bedroom, need to get the home office into it's own space, or would simply like a studio area which is separate from the house - we can help. 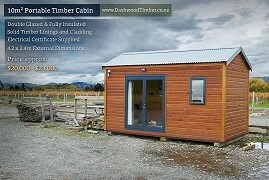 Dashwood is now producing a range of easily transportable offices, cabins and sleepouts. 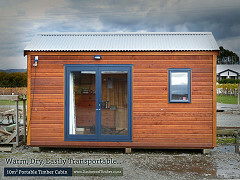 Warm, light, and beautifully fitted out in solid timber - these are quality buildings.